We know that the global economy isn’t great. We also know that one of the factors driving fundraising among the highest-valued private startups—a.k.a. Fortune’s Unicorn List—is the possibility that easy money will eventually stop being so easy to acquire. 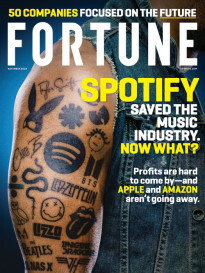 We called it “Silicon Valley’s $585 billion problem” in the February 2015 issue of Fortune. Now we’re seeing it manifest in a different area. Private startups bought back $940 million of employee stock last year, according to Nasdaq Private Market, an increase of 40% from 2014. (The Wall Street Journal first reported the figures.) That data comes on the back of an NPM report, published on Tuesday, that reviewed the year in private-company liquidity. It stated that there was $1.6 billion in secondary transaction volume in 2015 and a 33% uptick in related programs—the majority of which were company buybacks. It comes at a time when it’s increasingly difficult for startups to, well, act like startups. 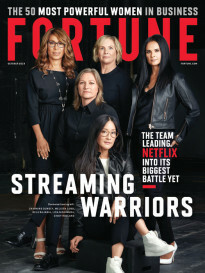 Get Term Sheet, Fortune’s deals newsletter. There are several drivers behind startups allowing their employees to cash out. Staffers can lock in returns at the company’s current valuation, for one, rather than risk devaluation later. A slow IPO market means companies can’t count on the public market to sell shares. (And even then, the public market might be a rough go for a startup that doesn’t have its fundamentals in order.) Some startups see it as a way to reward hard-working employees who haven’t seen an otherwise expected return. (Indeed, NPM says it’s the primary motive, helping them compete with public companies that offer stock compensation.) Others see it as a way to satisfy investors who seek preferred stock that come with additional protections for their returns. It’s understandable. The latest startups to IPO, among them Fitbit (fit) in June and Square (sq) in November, are trading well below their opening prices. Pure Storage (pstg) and Atlassian (team) haven’t fared much better since their openers in October and December, respectively. Until that environment is more favorable, startups are going to find different ways to keep their constituents happy. A buyback is one of them.